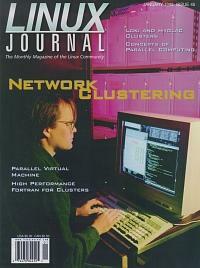 Various classes of problems lend themselves to parallel computing solutions. This article discusses the concepts and shows how Linux can be used to address the problem. PVM is a software application that allows you to turn TCP/IP networked computers into a single virtual machine in order to run parallel programming. Los Alamos National Laboratory and Caltech obtain gigaflops performance on parallel Linux machines running free software and built of commodity parts costing less than $55,000 each. Mr. Delves tells us all about high performance Fortran and how it is used to write code to run efficiently on parallel computers. Mr. Niederreiter tells us all about his graphical user interface for writing data to a CD-ROM. With Netatalk, you can drag and drop files from Linux to Mac and back, share system resources and more. This month we learn how to use the Image Window and layers in building our images with the GIMP, a Linux power tool for the graphics artist. Higher speed Internet connections are on the horizon with U.S. Robotics' XS modem and Rockwell International's K56Plus. Cookies are an excellent way of keeping track of users who visit a web site. Here's how to use them. Need More Info? Here's how to get the information you need using GNU's hypertext system called info. Kill: The Command to End All Commands Need to get rid of a job that's gotten into a loop and refuses to end? Here's a command that will take care of the problem. Linux at Rancho Santiago College Linux is being used to teach Computer Science classes at a community college in Santa Ana, California. Securing Networked Applications with SESAME This article describes the SESAME Security Architecture and how it can be used to secure your networked applications. Playing with Binary Formats This article explains how kernel modules can add new binary formats to a system and show a pair of examples. Extra: Geek Vocabulary This article explains some of the common Geek terms. Remote Compilation Using ssh and make Here's a quick lesson in setting up scripts to use the ssh and make commands for compiling on a remote machine.